It’s 4 bedroom and 2 bathroom house. 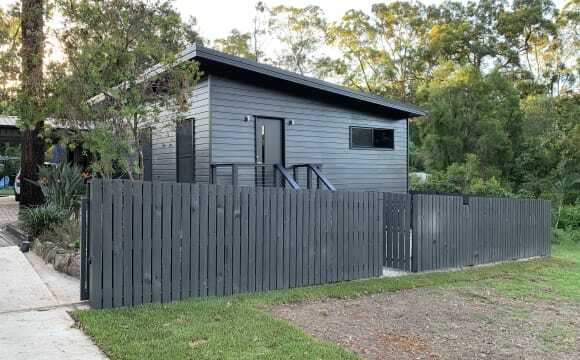 House is only 2 years old and located in Ferny Grove. Only one occupant. 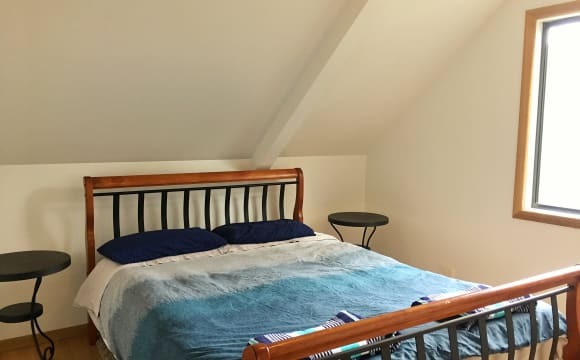 Looking to rent one room. The room is in a separate area of the house separated by a sliding door off the main kitchen and living area. Have the main bathroom, which is shared when visitors are over. Housemate bedrooms are in separate corners of the house. 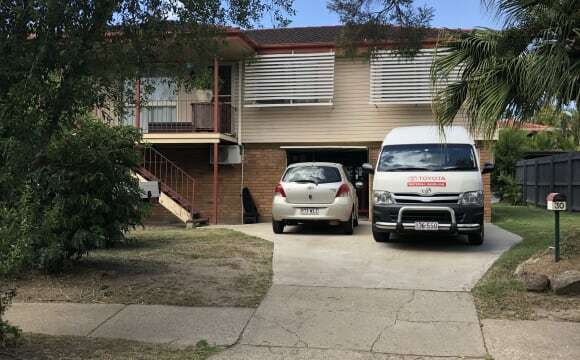 The house is within walking distance of Coles and the Ferny Grove train station or a short bus ride, with the bus stop 2 min away. Sorry, no pets. Looking for a non smoker and non partier. There is a bus stop out front that stops by a train station so no car necessary. The country is only a 10 minute drive away and the city is 16km in a direct line. We live on a large block with plenty of internal space including multiple living areas and a media room. Ducted airconditioning, internet, Netflix and Stan are also available. Property has Netflix, unlimited internet, pool, air conditioning only in the lounge. 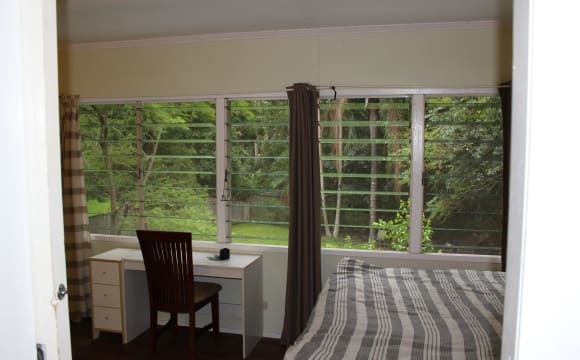 Ferny Hills is a quiet, leafy suburb, close to parks and meters from bus stops which take you to the Ferny Grove Station and Ferny Grove Tavern. Very close to Samford for anyone interested in hiking the mountains or just lapping up the country air. Unable to upload photos at this time due to my very untech savviness. 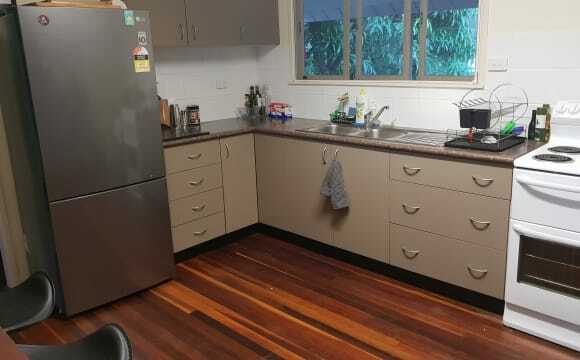 Photos can be found on realestate.com or on the house websites until I can work out how to upload. My current housemate is moving overseas to train and compete professionally sadly, so a room has become available! 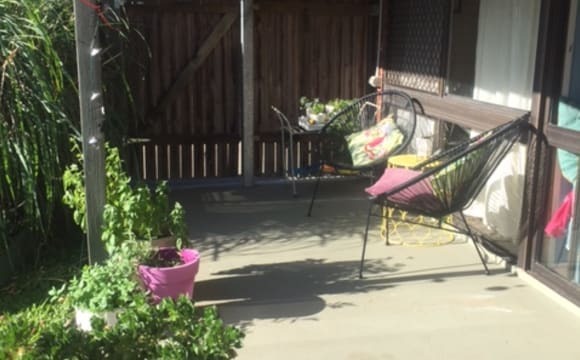 Spacious 3 bedroom open plan townhouse spread over two levels in a quiet complex in Arana Hills, surrounded by beautiful parklands and a swimming pool. 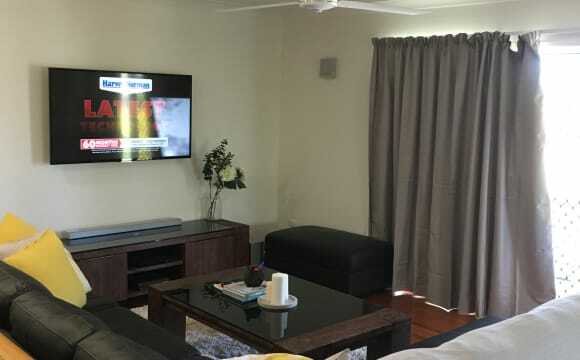 You'll have almost exclusive access to the ground level - your own large bedroom (4m x 4.4m) with built ins and ceiling fan, your own large bathroom (shared laundry - washer and dryer) plus almost exclusive use of the furnished downstairs lounge room. Shared upstairs kitchen with all mod cons including dishwasher - no more piles of dirty dishes! Outside deck/dining area for socialising. Off street parking. Recently renovated, it's a very attractive place to call your new home. Available to move in from first week of June. 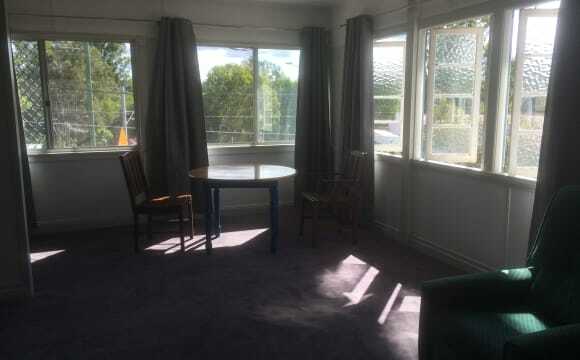 $250 per week, bills all included (electricity, water and unlimited high speed ADSL2+ wireless internet connection). Looking for someone to come onboard for a minimum of 6 months. Close to shops - Arana Hills Plaza only 5 mins away, plenty of buses, Grovely and Ferny Grove train stations both 3km away. And with Samford Conservation Park and Bunyaville Conservation Park only a few minutes away in either direction also, it really is a lovely area for walking, running, riding or hiking. Ideally looking for a full-time employed professional, male or female, who is reliable, clean, friendly and respectful. Couples considered but rent would be higher. No pets, sorry. The house is beautiful and was recently renovated as you can see in the photos. I have signed the lease and will be moving in 19/04/19, so move-in is available from the 19th, but inspections can happen from the 5th. 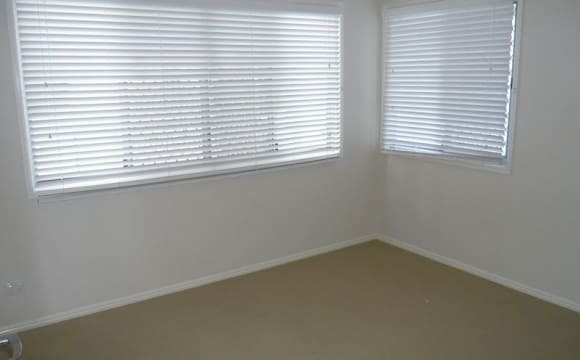 Timber floors, new kitchen, 1 bathroom (shared), air conditioning in living area, and fans throughout the bedrooms. There's a beautiful large back deck, great for relaxing and entertaining. There is a double garage (1 spot included with bedroom) and off-street parking infront of the garage (if you have a second car). There is also a rec room next to the garage downstairs. The area is beautiful and leafy green, right near the Kedron Brook, so there's great areas to walk/exercise. 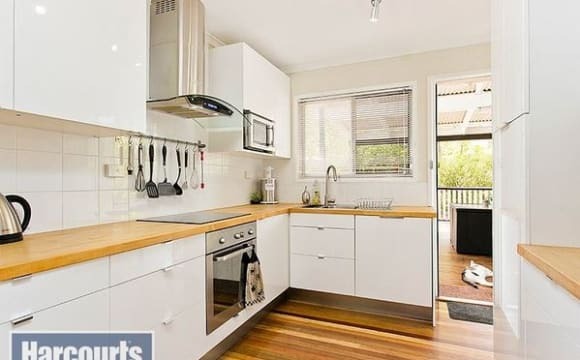 There's lots of shops nearby (supermarkets, doctors, dentists, gyms and lots of food options), Brookside shopping centre is about 5 minutes away, Ferny Grove and Keperra train stations are both about 1.8kms away and lots of bus options too. The room has a comfy double bed, built in wardrobe, air con and ceiling fan. All bills being electricity, water, internet and Netflix are included. I am looking to share with only 1 other person. (no couples or pets sorry). Parking is on street, could be on driveway. 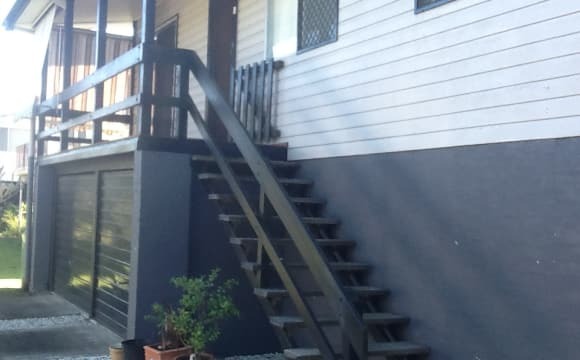 I live in a quiet townhouse complex of about 12, in a lovely leafy environment close to shops, transport and Kedron Brook path. The townhouse has: * 3 bedrooms * 1 bathroom * laundry in the garage with front loader washing machine * Fully furnished with vintage and modern furniture * ceiling fan in lounge * big open plan kitchen and dining leading on to a large deck and garden * dishwasher * electric oven and stove top I have everything that you require and unfortunately there is no extra room for more furniture or things in the lounge or kitchen etc. (you may be able to fit some extra furniture into your bedroom such as a tallboy or office desk). The deck is uncovered with a table setting to chill out in and have a BBQ and drinks at the end of the day or on weekend. I have two friendly cats who come and go as they please!! Indoors at night. You will need to like cats to live here! No other pets can be accommodated. Please note: I rent though an agent and they would need refs/landlord approval prior to moving in. I will remain the only person on the lease. I live close to the local shopping centre which is within walking distance. It has a Kmart, Coles and Aldi and a few coffee shops and the like. Brookside shopping centre is within driving distance. 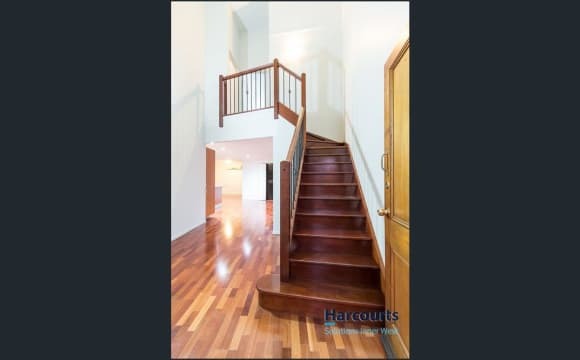 The townhouse is on a quiet street with a leafy outlook and close to Kedron Brook path. I live in close proximity with people in the other townhouses and I would consider myself and the neighbours respectful of each others space. Hi. We are offering two rooms to rent in an exclusive acreage bush retreat in the heart of Warner. Close to local shops, Gym, and Warner Village. The rooms are part of large house with multiple living areas, chefs kitchen, fans in all rooms and air con in main living areas. You will have acesss to a shared bathroom (two person) , free wifi and Netflix. We are busy professional people enjoy relaxing with coffee and a movie and laying around the pool. We welcome the addition of a new flatmate into our home.